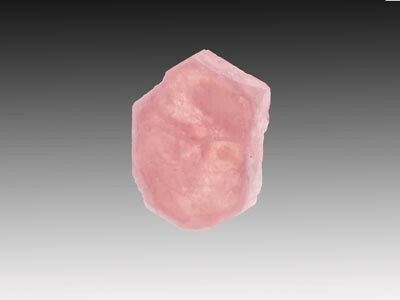 An exceptionally choice, and exceedingly rare euhedral xl of rich, light pink color. Although the species is relatively common from Madagascar (the type locality), only a few xls are known from Afghanistan. The crystal was verified by the GIA (Herb Obodda information); locality information as well from Herb Obodda. For discussion see http://www.mindat.org/mesg-106-332362.html.